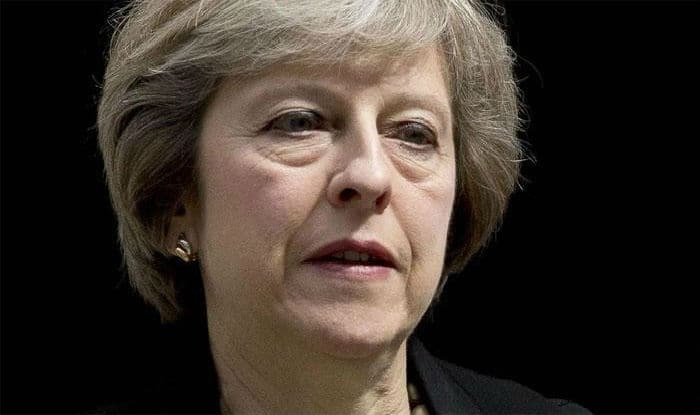 British Prime Minister Theresa May on Tuesday suffered a humiliating defeat as her controversial Brexit deal plan, that allows the United Kingdom to leave the European Union, was voted down by the MPs at the House of Commons by a resounding majority of 230. London: British Prime Minister Theresa May’s Brexit divorce deal has been defeated by a crushing margin in parliament, further complicating the country’s exit from the European Union (EU). She is also likely to face a no-confidence motion on Wednesday. May’s bid to get the Withdrawal Agreement through a House of Commons was defeated by a margin of 202 to 432 – a majority of 230, the biggest defeat ever suffered by a British premier in modern history. Her plan was aimed at bringing about an orderly departure from the EU on March 29, and setting up a 21-month transition period to negotiate a free trade deal. Soon after the vote, Opposition Labour leader Jeremy Corbyn announced that his party would move a motion of no-confidence against May’s government. Britain is set to exit the 28-member European Union, which it joined in 1973, on March 29. With just over two months to go until the scheduled departure, Britain is still undecided on what to do. Hardline Brexiteers and Remainers opposed the agreement for different reasons. Many feared that Britain could lock itself into an unfavourable trading relationship with the EU. Over 100 lawmakers of May’s Conservative party – both Brexiteers and Remainers – overwhelmingly voted against the deal, leading to the worst parliamentary defeat for a government in recent British history. The crushing defeat also marks the collapse of her two-year strategy of forging an amicable divorce with close ties to the EU after the March 29 exit. Following her defeat in the House of Commons, May said that the MPs have established what they are against but not what they are for. “The House has spoken and the government will listen. It is clear that the House does not support this deal but tonight’s vote tells us nothing what it does support. Nothing about how, or even if, it intends to honour the decision the British people took in a referendum parliament decided to hold,” she said. Corbyn, during the debate, criticised the deal, calling it “botched and damaging” and urged the MPs in the House to vote against the deal. In 2016, over 50 per cent of the UK electorate voted to leave the EU, following which the British government had triggered Article 50 of the Lisbon Treaty, beginning the country’s process of exiting the European bloc. According to Britain’s parliamentary procedure, when a bill is rejected by the MPs, the prime minister has three sitting days to return to Parliament with a Plan B. It is expected that May would head to Brussels on Wednesday to try and secure further concessions from the EU before coming back to UK Parliament with a new proposal. This could be put to vote by the MPs. Should this also fail, the Government would have another three weeks to come back with another alternative. If the withdrawal agreement never gets through with Parliament, then in all likeliness the UK will crash out of the EU without a deal on March 29. This would mean overnight EU laws and customs and the free movement of goods, services and people will cease. The British Prime Minister made a whirlwind trip to the EU, to discuss the issues concerning the deal. However, the EU reiterated that the withdrawal agreement will be renegotiated.